The recent appointment of Ivy Lau Ee Nee as INTI College Sarawak’s new Chief Executive and Principal has quickened the pace to transform the institution into a formidable world-class provider of higher education in the state. With her wealth of academic and managerial/ leadership experience built on a strong foundation in academia and industry, Lau has put in motion various initiatives aimed at transforming the lives of INTI’s students. These include upgrading the campus teaching infrastructure and enhancement of student services. New offerings are also in the pipeline including the Certificate in Business Studies Programme for the April 2012 Session. The Certificate in Business Studies Programme is worthy of note as it is designed to assist students who are unable to meet the minimum requirement of three SPM credits to enter diploma programmes. It will encourage and enable students who have obtained one or two credits in SPM to continue along the journey towards the realization of their academic and life goals. Currently, opportunities abound for at INTI College Sarawak’s students to earn internationally recognized undergraduate and postgraduate qualifications. A host of pre-university, undergraduate and postgraduate programmes can be completed entirely at the College. The wide range of programmes covers the broad spectrum of Business Administration, Culinary Arts and Hotel Management. With regard to pre-university programmes, the College offers the Cambridge A Level programme which is recognized globally as the Gateway to World-Class universities. 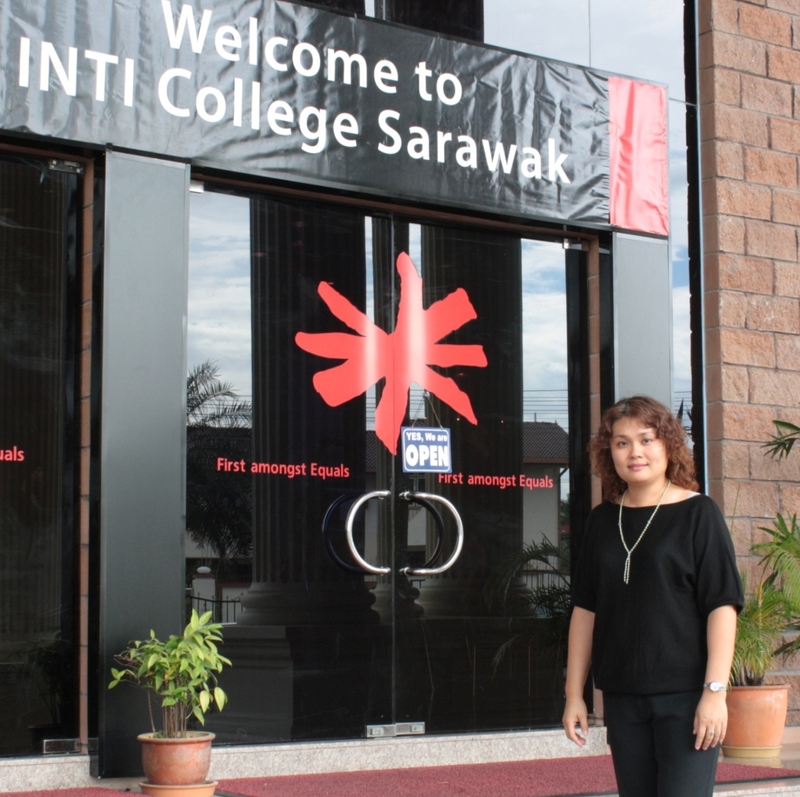 Ivy Lau takes the lead in transforming INTI College Sarawak into a top tertiary education provider in the state. An INTI education emphasizes the development of industry-relevant technical and soft skills that give students a competitive advantage in the job market. INTI College Sarawak’s collaboration with the Hilton Kuching in offering the Diploma in Hotel Management programme is an exemplar of the synergy that can be realized when academia and industry work as one to ensure that today’s graduates have the relevant knowledge and skills to thrive in the twenty first century. In a similar vein, to ensure that INTI’s Diploma in Culinary Arts students are immersed in a world-class environment during their studies, practical classes are held at the Borneo Convention Centre Kuching (BCCK). With the recent formalization of the synergistic partnership between BCCK and INTI College Sarawak, INTI students will enjoy the learning experience at BCCK’s world-class kitchen facilities. They will also benefit from industrial placement opportunities or internships with BCCK, where they will be directly exposed to global best-practices in relation to the MICE (Meetings, Incentives, Conventions and Exhibitions) industry. Together with INTI College Sarawak’s new on-campus kitchen facilities, the learning experience of the students will be enhanced further, especially in areas such as Practical Cookery, Garde Manger, and Pastry and Bakery. As part of the global Laureate International Universities network, INTI College Sarawak offers 21st century quality education to mould tomorrow’s leaders. Every INTI student is part of the Laureate International Universities network of more than 60 universities in 29 countries with over 675,000 students. Being a part of the largest and fastest growing global network of private universities, INTI College Sarawak’s students enjoy the best of both worlds: world class education at local prices and access to top academic talent from around the world as well as exposure to industry best practices. INTI’s students can also tap into Laureate’s vast online resources, which enable them to have at their fingertips, a global perspective on practically any subject matter. This goes a long way in facilitating the learning process and fosters an appreciation of the breadth and depth of global issues. This is INTI’s Laureate Advantage. Through the Semester Abroad Program (SAP), INTI students can take advantage of the opportunity to spend a semester abroad at any Laureate network of institutions without paying international student fees. INTI students also experience an education of 21st century quality through active learning within the network. As seen with the Laureate Visiting Fellows initiative, international thought leaders and academicians share updates on best practices and relevant industry information. The INTI edge is further enhanced by the E2E (Enrolment to Employment) initiative where INTI partners with leading multinational corporations, “bringing industry into the classroom”. In this respect, the Business Leadership Series (BLS) serves as a platform for the student community to engage with the industry in addition to having real time dialogues and debates on topical issues. Students who attend the BLS have the opportunity to meet, hear from and be instructed by top minds in the country and region. For further information about INTI’s academic programmes, please call 082-570888 or visit INTI College Sarawak at Jalan Stampin Timur in Kuching. Information can also be obtained from INTI’s website: www.newinti.edu.my. INTI College Sarawak will also be participating in the Borneo Post International Education Fair at the Borneo Convention Centre Kuching (BCCK) on 3 and 4 March 2012 from 10 a.m. to 6:00 p.m.